Published by Mountainblog on 07/03/2015 . The Vortex Gyro Rewind Pro via ferrata lanyard features the Vortex shock absorber, new super-safe Horai carabiners and the patented Gyro system designed to eliminate twisting and tangling. 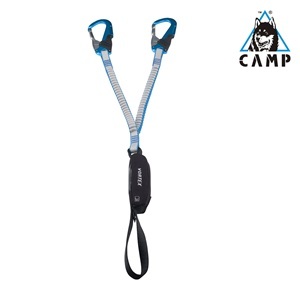 The lanyards use special elasticized 22mm Rewind webbing that contracts to a shortened length to stay out of the way while climbing, but extends effortlessly to full length for passing anchors or straying from fixed lines. 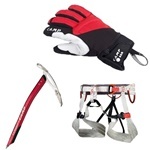 Connects to any harness with a webbing twist ring that positions the unit in its upright position even when passed through vertical tie-in points. CAMP is a 123 year-old, family-owned Italian brand that has maintained its heritage with the global headquarters still nestled in the tiny mountain village of Premana situated in the Pre-Alps of Northern Italy. To give you an idea of this remote location, there is a road into the front of the village, but no road out the back.